Feel like escaping to the countryside for a weekend? 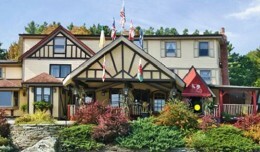 Head to Vermont for a 2 night stay in a rustic suite. You can make your own syrup, warm up by the fireplace or relax in your own private whirlpool. Get Deal!